MHP dissidents from left to right: Ümit Özdağ, Meral Akşener, Sinan Oğan, Koray Aydın. Chairman Bahçeli is readying to expel the aforementioned dissidents. The Nationalist Movement Party (MHP) executive board gave Bahçeli its full backing As rumors about MHP Chairman Devlet Bahçeli looking to expel party dissidents in a bid to retain his post continue. According to reports, Bahçeli told executive board members that dissidents such as Meral Akşener, Sinan Oğan, Ümit Özdağ and Koray Aydın should be expelled after assertions of misconduct. Dissidents gathered an emergency convention on June 19 to change party bylaws. In addition, the dissidents organized a separate Ramadan Bayram celebration instead of attending the party administration's organization. As the dissidents' alleged misconduct piles up, Bahçeli is reportedly seeking the right time to press the button to expel them. Following the Ankara 3rd Civil Court of Instance's motion stopping the emergency convention from being held on July 10, party dissidents gathered on July 11, deciding to watch the judicial process closely. 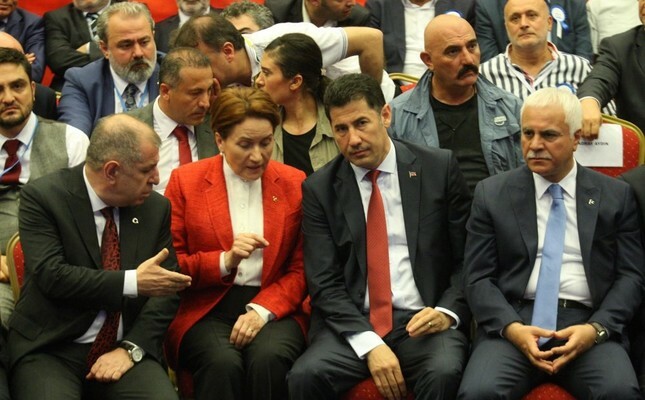 The four candidates for the leadership of the party in the canceled election on July 10, Oğan, Akşener, Aydın and Özdağ, were also present at the meeting, where one of the main goals was to collect signatures from the deputies to hold a new convention and election. The dissidents claim that if they are able to collect the necessary signatures within two days a new emergency convention to hold an election might be held within one month. Further announcing that all four members will be joining the Erciyes Victory Congress to be held to celebrate the founding of the MHP, dissidents said one of their main agendas for the congress will be collecting signatures for a new convention. As one of the strongest candidates for the canceled chairman elections, Akşener is believed to be gathering signatures from deputies in order to pave the way for a new emergency convention. Akşener is also rumored to be making preparations for a fifth party with a center-right ideology and formed mostly by current MHP members. The new party's name is rumored be the Nationalist Democratic Party (MDP) or Nationalist Labor Party (MÇP), and would most probably include MHP deputies who support the dissidents. Akşener is also said to be forming a group by reaching out to at least 20 deputies in the party assembly, including transfers from the ruling Justice and Development Party (AK Party).